The narrative is starting to change at Facebook, Inc. (NASDAQ:FB). Facebook stock has been a market darling for years now. Once FB stock got its legs under it following its 2012 initial public offering, it rose nearly 900% in less than five years. FB news always seemed positive. Facebook stock never really faced much of a correction, or even a modest decline, as it marched steadily higher. It’s very different now. The market has turned outright cautious toward Facebook stock. The latest headlines surrounding unauthorized data use by U.K. firm Cambridge Analytica have again raised concerns about how Facebook uses, and secures, its data. Politicians are calling for hearings. Users are upset. And investors are selling, with Facebook stock down nearly 7% as of this writing, its largest one-day decline in at least two years, according to Barron’s. There’s a case that Monday’s dip presents a buying opportunity. Investorplace.com’s Ian Bezek made that case on this site, pointing to the still-large opportunity for digital advertising growth. Nicholas Chahine pointed to a reasonable valuation and support around the current price of $172. But I’m not so sure. After recommending FB stock for some time, I’d already become increasingly cautious toward the stock. And I don’t believe that investors can shrug off this weekend’s news. Facebook is facing serious risks — and so far its responses have been far less than satisfactory. What’s driving Monday’s decline is the news that Cambridge Analytica — a consulting firm used by the Donald Trump campaign — gathered data on more than 50 million Facebook users without permission. On Friday, Facebook announced on its own site that it was suspending the firm, as the data had been passed to Cambridge Analytica in violation of the Facebook terms of service. CA was not supposed to receive the data in the first place. According to Facebook, the firm said it had destroyed the data when asked to by Facebook — only for Facebook to receive information recently that the destruction hadn’t occurred. For its part, Facebook repeatedly has argued that what happened is not a “data breach.” Facebook wasn’t hacked. The data was given willingly by users. The data itself was used incorrectly, and under current terms of service, the situation could not repeat. For its part, Cambridge Analytica told Reuters that it didn’t use the data in the Trump campaign. And it insisted that it had deleted the data it had received, as Facebook requested. From a factual standpoint, then, there’s a case that this is much ado about nothing. The data didn’t impact the 2016 election. Facebook already has changed its procedures to prevent a similar occurrence in the future. There will be some short-term noise, but little, if any, impact on Facebook’s business. The scandal does contribute to the “fake news” concerns surrounding Facebook stock — but those, too, shall pass. I’m no longer sure that’s the case, however. The first problem for Facebook is that this has become a political story — and facts don’t drive political narratives. Anti-Trump constituents in the U.S. will see this as another way in which social media unfairly influenced the presidential election. Those already concerned about Facebook’s ownership and usage of data have another ax to grind. Regulators on both sides of the Atlantic are calling for CEO Mark Zuckerberg to answer questions — in person. The combination creates significant reputational risk to Facebook. User growth already is slowing in North America, in part due simply to the massive size of the existing base. The news feed changes announced earlier this year will — at least in the short term — depress time spent on the site. As I argued just last month, that puts a lot of pressure on ad load and pricing to drive revenue growth. That pressure now intensifies. 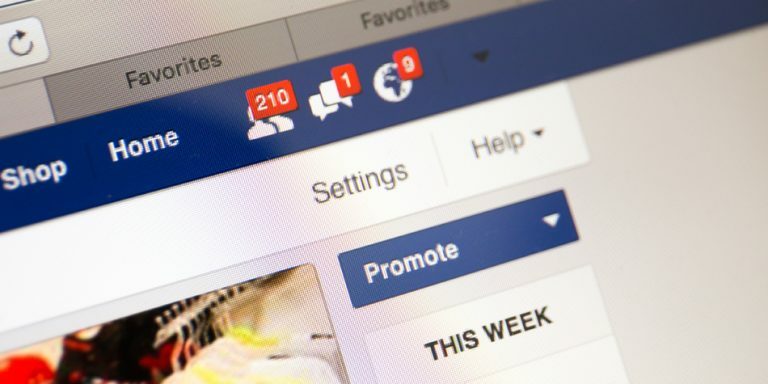 Facebook has said it’s not inclined to increase ad load (how many ads a viewer sees). Pricing increases could become more difficult. Consumer packaged goods giants Unilever N.V. (NYSE:UL) and Procter & Gamble Co (NYSE:PG) are cutting their spend, already angered by the shady practices in the digital advertising space. Meanwhile, a report on Monday morning was overshadowed by other FB news. But it projected that Amazon.com, Inc. (NASDAQ:AMZN) would take market share from Facebook and Alphabet Inc (NASDAQ:GOOGL,NASDAQ:GOOG) this year. Facebook can argue that Monday’s news isn’t that big of a deal. It can claim — rightly — that it wasn’t a “hack,” or a “data breach.” But that’s not the point. The point is that there is real risk to Facebook’s reputation among users — and advertisers. Users already are more cautious about their data — and this news will only feed those concerns. Advertisers face a notable lack of trust across the digital advertising space and this doesn’t help. Those concerns continue to mount on both sides. And Facebook management, to be blunt, has done a poor job of responding to them. It’s not necessarily a big deal to the average customer whether the data came from a “breach” or a “hack” or a “third party.” What the average customer sees, and feels, is that his or her data simply isn’t safe on the platform. Facebook isn’t convincing consumers — or regulators — otherwise. If that doesn’t improve, and soon, Facebook will see lower engagement, lower usage, and maybe even lower ad rates. At some point, that weakness will be reflected in Facebook stock. Article printed from InvestorPlace Media, https://investorplace.com/2018/03/facebook-inc-fb-stock-plunges-may-have-further-to-fall/.